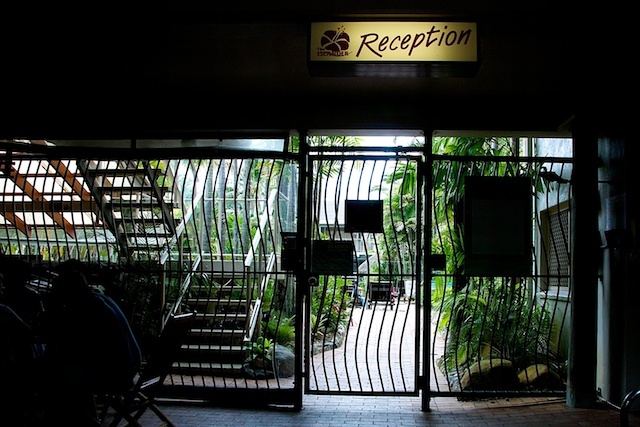 Iron bars do not a prison make, but do they make a welcoming resort reception area? I wasn't aware that we had so many bad guys. Wonderful proof, that it is the inside that counts. Perhaps they think that having some wavy lines in the bars will make it look less harsh!